Prime Minister Roosevelt Skerrit arrived in Venezuela yesterday to attend an ALBA meeting, Telesur has reported. Skerrit and other ALBA participating nations are expected to ratify support for Venezuela's right to resolve political differences without intervention, the multi-state funded news network based in Caracas Venezuela said. "The ALBA-TCP which was founded by Fidel, Chavez and they are present here, they are always present in these summits because they are summits were the people continue defending peace, security and the unity of Latin America and the Caribbean," Telesur reported that Ortega said upon arriving at the Simon Bolivar International Airport where he was received by Vice President of the Constitutional Assembly, Aristobulo Isturiz. 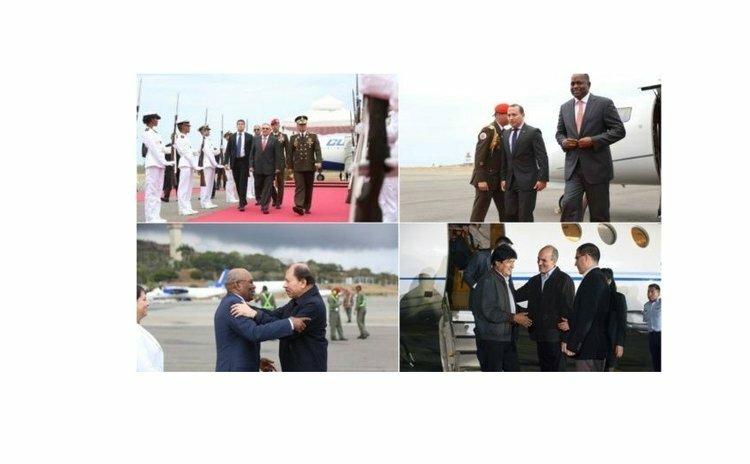 "Caribbean leaders also arrived in Caracas, including Prime Minister of Dominica, Roosevelt Skerrit, Suriname foreign minister Yldiz Pollack, Permanent Secretary for Foreign Affairs of Antigua and Barbuda, Anthony Liverpool, and Saint Kitts and Nevis Ambassador, Michael Oliver Powell. "Ecuador's Minister of Defense, Patricio Zambrano, is also in attendance representing the Andean nation. "ALBA participating nations are expected to ratify support for Venezuela's right to resolve political differences without the intervention of external forces. President Nicolas Maduro will chair the summit which will also mark the legacy of late former President Hugo Chavez, five years after his passing",Telesur said. In addition to Venezuela and Bolivia, Nicaragua, Dominica, Ecuador, Saint Vincent and the Grenadines, Antigua and Barbuda, Saint Lucia, Saint Kitts and Nevis, Grenada and Suriname will also attend.